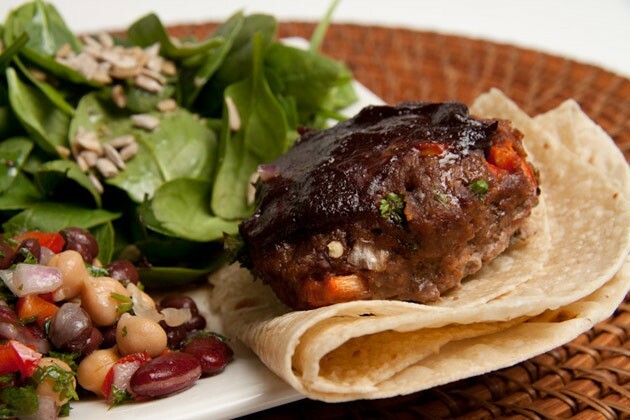 Hide as many veggies as you can in this sweet and delicious burger! Either cook these burgers and store them for lunches for the week, or prep raw burgers, freeze and grill them on the weekend. In a large bowl mix together [with your hands, it works better!] elk, bison, almond flour, eggs, ketchup, onion, pepper, and parsley. Form into patties about the size of your palm, and place on the baking sheet. 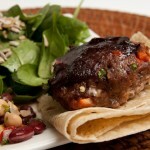 Bake for 15 minutes, remove from oven and spread barbecue sauce on each burger. Return to oven for another 30 minutes.